This book is now travelling by post as a wishlist RABCK for a bookcrosser in Norway. Thank you so much for sending me this book, Colombina! It was just the ticket as some light reading along with a much heavier book I'm trying to get through - and perfect for the season as well. Not quite finished yet, but will of course pass it on to someone else once I'm done. 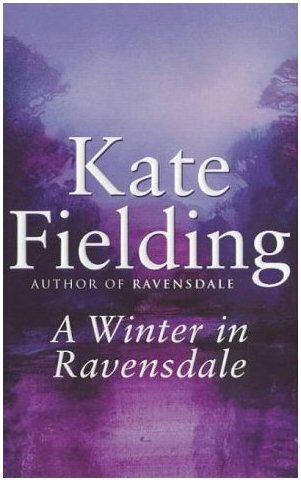 A Winter in Ravensdale by Kate Fielding is eminently readable, that has to be said. I zipped through it this weekend, despite not really having a lot of time to read. It's Laura Grant's second winter working as a doctor in rural Yorkshire, the story picks up somewhere after Ravensdale left off. Though Laura is undoubtedly the "main character", the narrative in this book is spread out over a lot of different people and stories, more so than the first one (as far as I can remember). I was particularly interested in Aimee and her relationship to her parents, but felt like Fielding tried rather than succeeded at dealing with the issues there. Aimee's mother is especially invisible, and although I realise this is part of Aimee's "quarrel" - that her father is too domineering and her mother just a foil for him - I think the story could have been made more interesting if we were treated to her mother's point of view, too (see, I can't even remember if she is named by name in the story). There are also some relatively gruesome - or tragic - things going on, this is a crime story of sorts, in fact, that leave me more unconcerned than I think I'm meant to be. Still, it's a nice read, and reading about the Yorkshire Dales still classifies as Not A Bad Thing. Anyway, I'll be passing this Bookcrossing copy on (give a shout if you want it), and I'll be looking for the next (and, I think, last) book in the series.